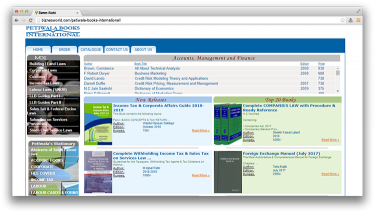 Description Established in 1963, Importers & Exporters of Books & Periodicals. Specialization in the field of Law, Commerce, Management, Computer Books, Government Publications & Legal Stationeries,etc. Address Strachan Road, Opp. S. M. Arts & Commerce College, Near Sindh Secretariat & Income Tax Building, Karachi.